There are a few things I love about June. The weather gets warmer, the days get longer, schools out. Its one of the best times of year actually. But my favorite thing about June? I seriously wait all year to make one of these beauties. 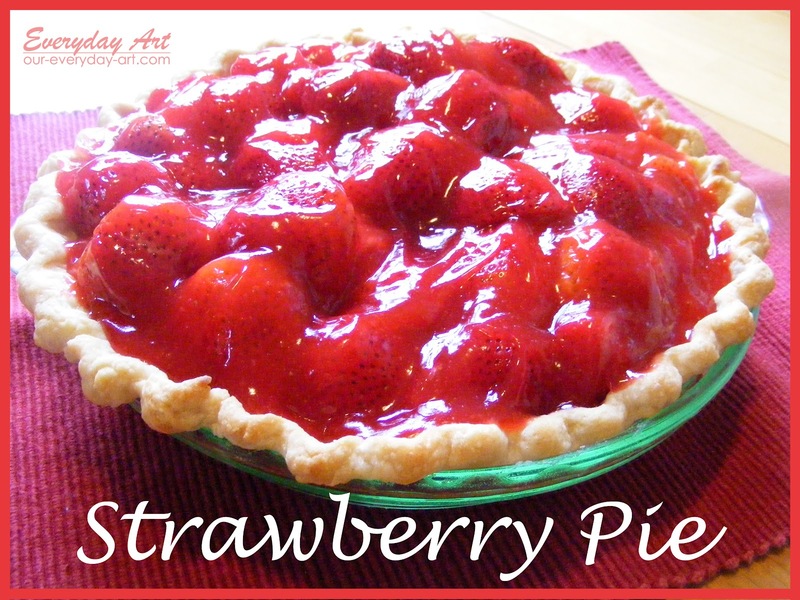 My mom used my grandma's recipe to make fresh strawberry pie, probably every year. so technically I guess I could call it a tradition. But really, its just delicious. Anyone want the secret recipe? My grandma's, Jaime's, and mine...a mix of the two. Here are all 3 recipes so you can make the one you fancy or create your own. Mix sugar and cornstarch in a saucepan. Add water. Boil until thick. Add jello and lemon juice. Stir until dissolved and cool slightly. Pour over berries in prepared crust. Refrigerate until set. Heat strawberries and water in a saucepan. Mix sugar and cornstarch and add to strawberry mixture. Mix sugar and cornstarch in a saucepan. Add water and crushed strawberries. Boil until thick. 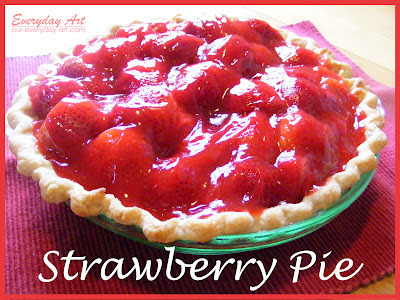 Sounds like you need to head out on Route 20 towards North East, PA to pick your own strawberries for a nice fresh pie. Oh my yummy! I will be making this soon. 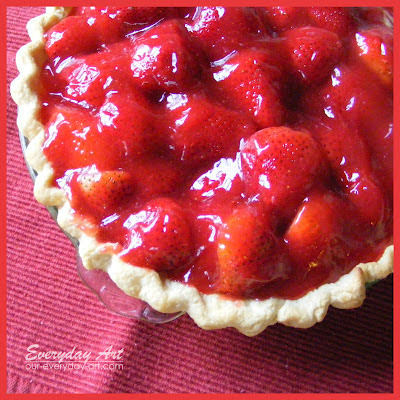 Brady isn't big on sweets but one thing he is crazy about is strawberries, so I'm sure I wouldn't have to do any persuading to get him to enjoy this with me. PS I sure miss you girls!! !